The Wellman Center is driven by a focus on solving medical problems. We have assembled a multi-disciplinary faculty with expertise in the biological, physical and clinical sciences. 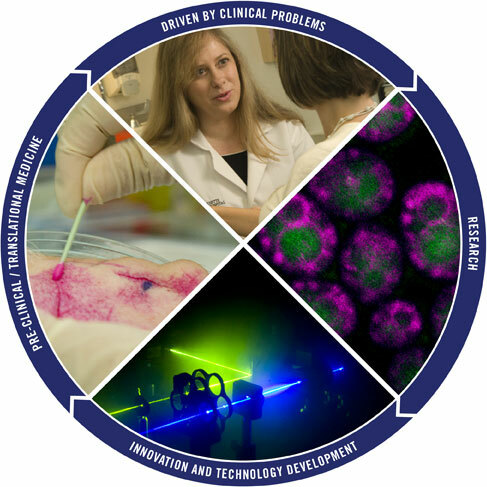 By cultivating inter-disciplinary collaboration, we strive to span the research spectrum from basic biological studies through the development and testing of novel diagnostic and treatment technologies to their integration into mainstream clinical practice.